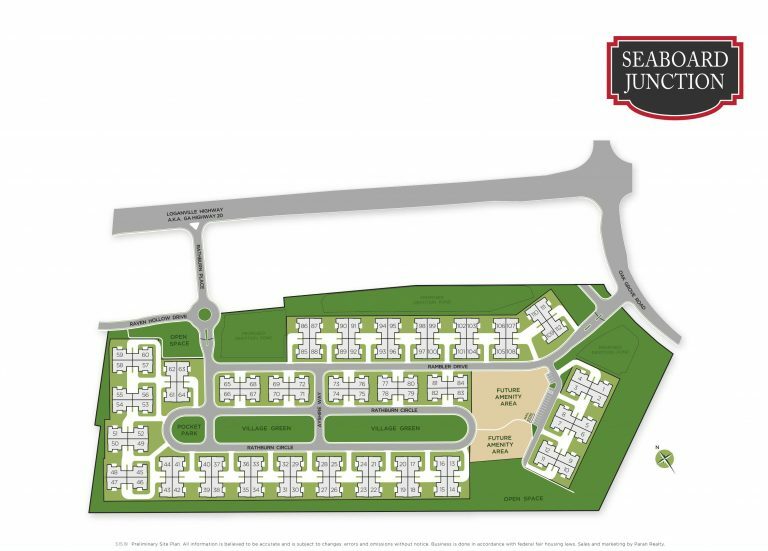 Seaboard Junction – Exciting New Active Adult Community Coming to Gwinnett County in 2019! Showcasing a spectacular collection of 112 ranch homes by Paran Homes, Seaboard Junction will be representative of one of Gwinnett County’s newest active adult communities. Situated just off the popular thoroughfare of Loganville Highway, homes in this handsome community will feature two of the builder’s most popular quad-style floor plans – the Augusta, Veranda and will introduce new plans as well. Sophisticated and stylish in their design, both plans boast 3 bedrooms, 2 full bathrooms, 2-car garage and 1700+ square feet of one-story living space. Buyers desiring a peaceful retreat will no doubt be drawn to the sprawling master suite and airy sunroom filled with windows to let the natural light shine in. At the heart of it all, the open-concept design features a seamless flow between the kitchen, dining room and family room – the ideal layout for people who love to entertain. While we’re on the subject of “entertaining,” the area in which Seaboard Junction is poised comes loaded with delightful diversions. The Shoppes of Webb Gin offers a blend of boutiques, highly recognizable retail brands and eateries that run the gamut from sandwich shops to steakhouses. In addition to parades, family-friendly festivals and Groovin’ on the Green concerts hosted by the City of Loganville, the nearby Cities of Snellville and Grayson also offer a jam-packed calendar of events. When it’s time to get outside and play, Seaboard Junction homeowners can head to any one of three award-winning Gwinnett County parks. 154-acre Bay Creek Park features a lighted tennis complex, softball fields, playgrounds, 1-mile paved walking trail and more. The 713-acre Tribble Mill Park showcases a stocked lake for fishing, large network of trails, and pavilions with grills, just to name a few. At nearly 1,300 acres, the sprawling Harbins Park offers trails for horseback riding, hiking and mountain biking, as well as a number of sports fields and all of the other features that make a park truly great. Presales have begun for this sought-after location. To have your name placed on the Interest List for this exciting new active adult community in Gwinnett County, please call 470-344-0341 or fill out the interest form below. 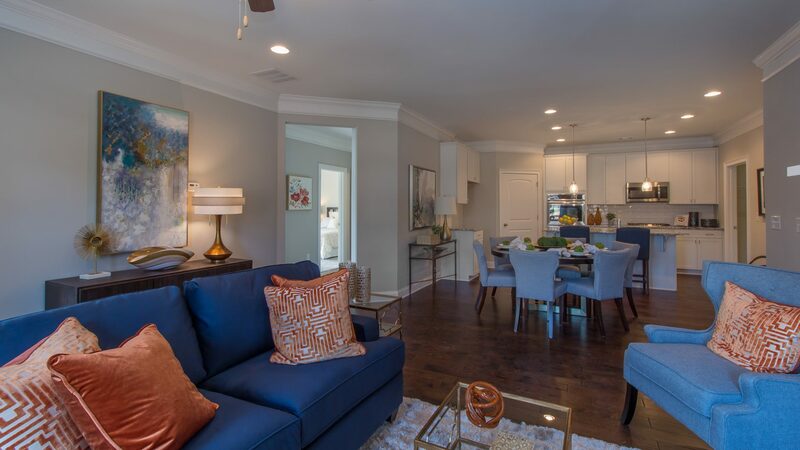 The earlier you get a jump on this highly desirable collection of quad-style ranch homes, the more opportunities you’ll have to customize the look of your new home’s interior and exterior with the talented team at Paran Homes’ Design Center.